Thankfully, there are notary publics who specialize in loan signings. Known as Notary Signing Agents (NSA), they are specifically trained in the facilitation of mortgage loan documents. They have a greater understanding of the documents and wording used in loans; therefore, there’s less risk for error when using a NSA to close on a home. Notary Signing Agents must first be commissioned as a notary public, at which point they can choose to undergo additional training in mortgage loans. Notaries are in no way required to take this additional training. If they do, however, they can attract a new base of customers by offering notarial services for home buyers. Check to see how much experience the notary public has before hiring him or her to facilitate your loan signing. 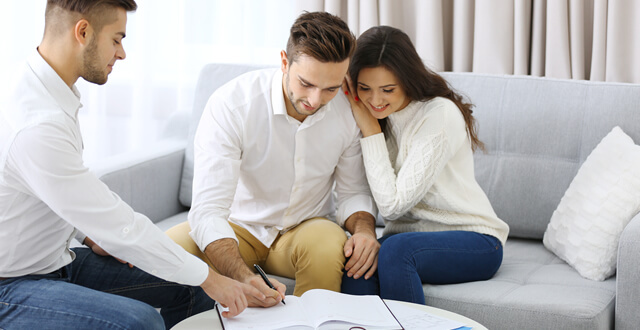 Being that mortgage loans contain sensitive and oftentimes confusing information, you want to choose someone who’s experienced in this line of work. Don’t be afraid to ask the notary public how long they’ve been in business and whether or not they’ve facilitated loan signings before. Escrow and Title offices have commissioned notaries on site who are ready to notarize buyers’ loan documents. If you are purchasing a home, both you and the seller can agree to meet at the escrow/title office to finalize the documents. Assuming the office is nearby; this is usually the preferred option for facilitating mortgage documents. Of course, you are free to have the mortgage documents notarized by any notary public in your respective state. Perhaps there’s another notary public who’s closer to you and/or the seller. If so, you may want to take your documents to them for notarization. Another option is to hire a mobile notary to notarize your loan documents. As the name suggests, a mobile notary is a notary public who travels to the client’s location. Instead of you going to meet them, they will come to your home or a location of your choice to perform the notarial service. Most states have “caps” on how much a notary can charge for their notarial services. However, mobile notaries may charge more for the convenience of traveling to your location. A mobile notary may charge $150 to perform a service, whereas a stationary notary may charge much less.